Do you easily get caught up in the effete menus Pinterest has to offer- especially when every chocolatey, cheesy and gooey recipe has a drool- coaxing picture to draw pinners in? 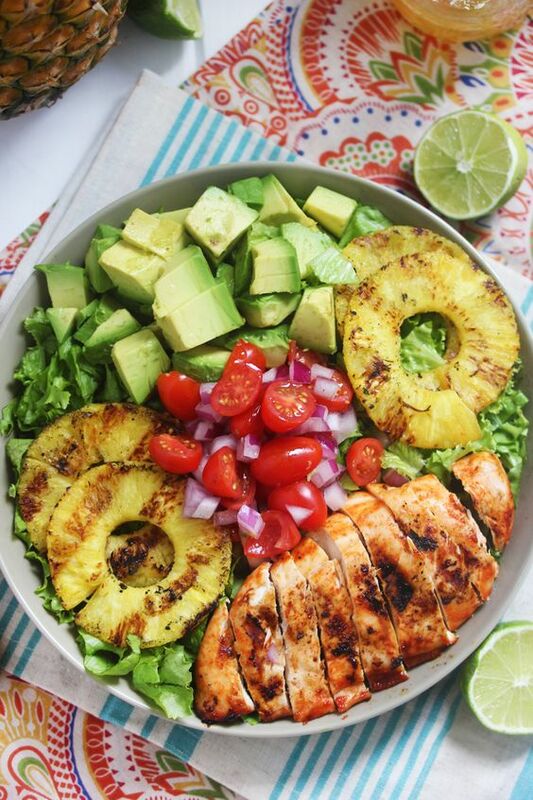 Well, if you love to eat salads, Pinterest has a tempting variety of salad receipes that offer enough zest to feel just as indulgent! From pasta-inspired salads to a collection of detox salads, there is something for each one of you out there. So, whether you follow a Paleo, vegan or gluten-free lifestyle, there are variety of salads here- each of these have been pinned a plethora of times! There is nothing more comforting than these fresh, scrumptious, low-calorie and nutrient-dense recipes. And yes, each of these healthy and most pinned salads certainly deserve a spot on your recipe board. So what are you waiting for? Try these salad recipes and indulge in them right away- your taste buds will thank you for it! Crisp apples, dried cranberries, feta cheese, and hearty walnuts come together in a fresh Autumn salad by CREME de la CRUMB. Honey Mustard Chicken, Avocado + Bacon Salad, with a crazy good Honey Mustard dressing withOUT mayonnaise or yogurt by Cafe Delites! And only 5 ingredients! Mexican Chopped Salad by THE CAFE sucre farine is a cross between a Asian pear, a potato and an apple. Sriracha Lime Chicken Chopped Salad that is just bursting with flavor by Lexi’s CLEAN KITCHEN. 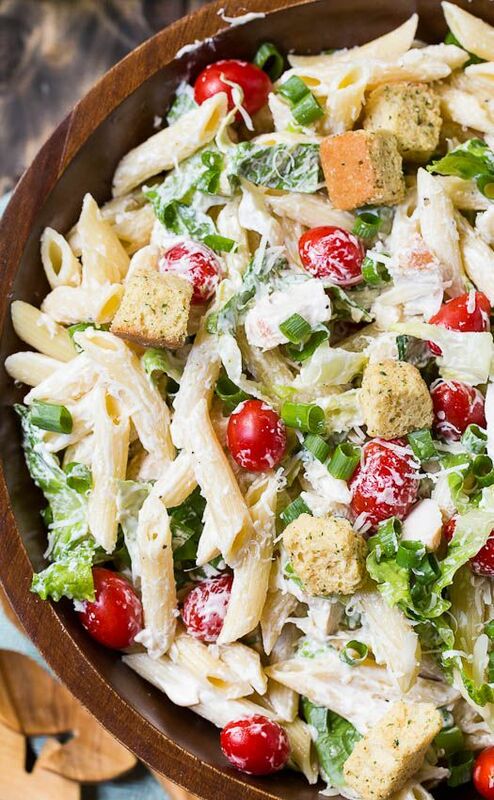 Chicken Caesar Pasta Salad by SPICY SOUTHERN KITCHEN is a delicious and satisfying pasta salad. Pear, Pomegranate and Spinach Salad by COOKING CLASSY is the perfect salad for the holidays! Berry Feta Salad with Creamy Strawberry Poppy Seed Dressing bursting with fresh berries and adorned with CANDIED pistachios and feta by carlsbad CRAVINGS is so easy, delicious and beautiful. The Beetroot and Feta Cheese Salad by Scrambled Chefs has the perfect balance of sweet and salty from the beetroot and feta cheese – SO good! Super healthy and tastes even better! So many delicious vegetables combine in this flavorful and colorful salad by THE Receipe CRITIC! Grilled Ginger-Sesame Chicken Chopped Salad by COOKING CLASSY. This Best Ever Broccoli Salad by Mom On TIMEOUT is bursting with flavor! 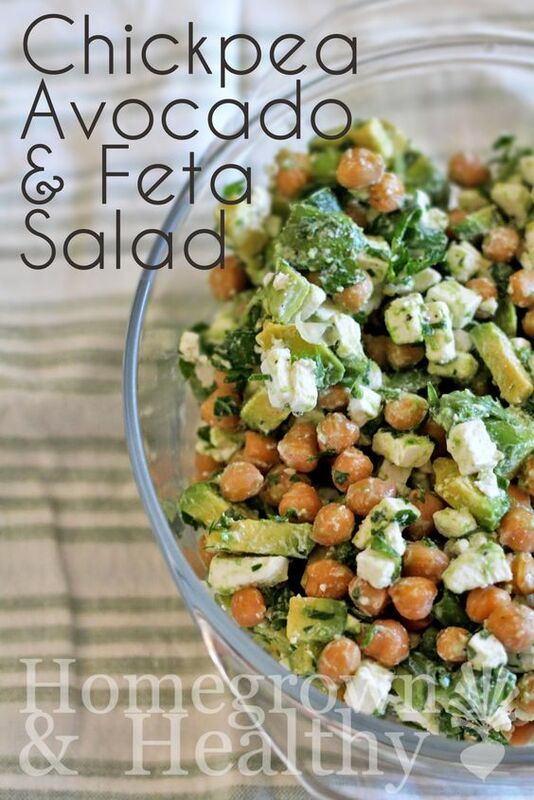 The Chickpea, Avocado and Feta Salad by HOMEGROWN & HEALTHY is one of the tastiest – and easiest and cheapest – salad recipes. 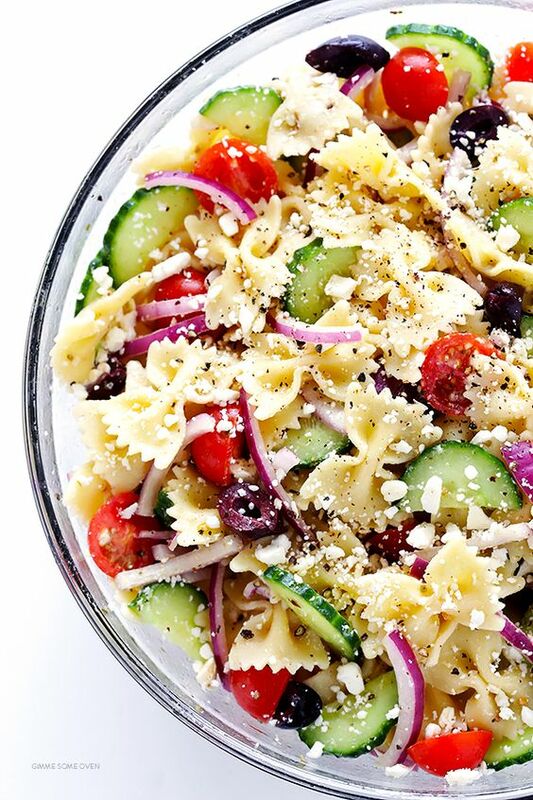 The Mediterranean Pasta Salad by GIMME SOME OVEN is a simple Mediterranean twist on the classic pasta salad, chocked full of fresh veggies and olives, sprinkles with plenty of feta, and tossed in a zesty lemon-herb vinaigrette. The Asparagus, Tomato and Feta Salad with Balsamic Vinaigrette by COOKING CLASSY has an amazing dressing. 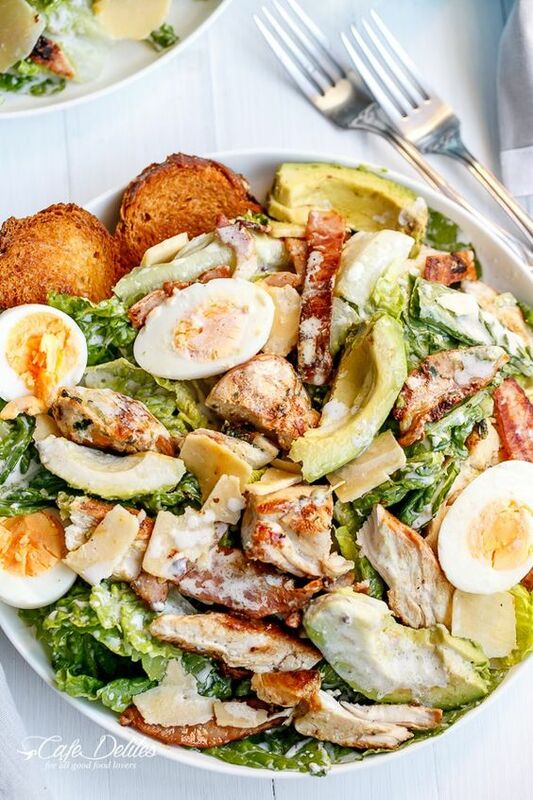 Skinny Chicken and Avocado Caesar Salad by Cafe Delites with a dressing that’s less than half the fat. This Apple Brie Salad by lemmon tree dwelling combines the crispness of apples with the creaminess of Brie cheese in a delicious salad that’s perfect for winter! This is a healthy Mexican Street Corn Salad by Live Eat Learn. This Bowtie Chicken Caesar Salad by The Girl Who Ate Everything is a great salad for a crowd. A way to bulk up a salad is to add cooked pasta to it! Try it and you’ll never go back. A healthy and incredibly simple spinach salad topped with chicken breast by Chelsea’s Messy Apron. 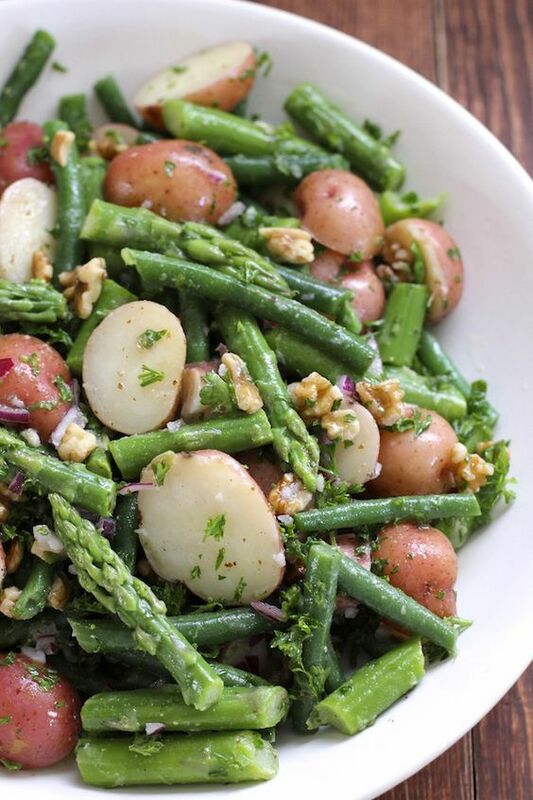 Potato Salad With Green Beans and Asparagus by Green Valley Kitchen works really well at either room temperature or served cold. This Blueberry Feta Salad by lemon tree dwelling is for a baby shower or Easter celebration! Fresh, satisfying, filling and unbelievably simple salad by THE LONDONER. 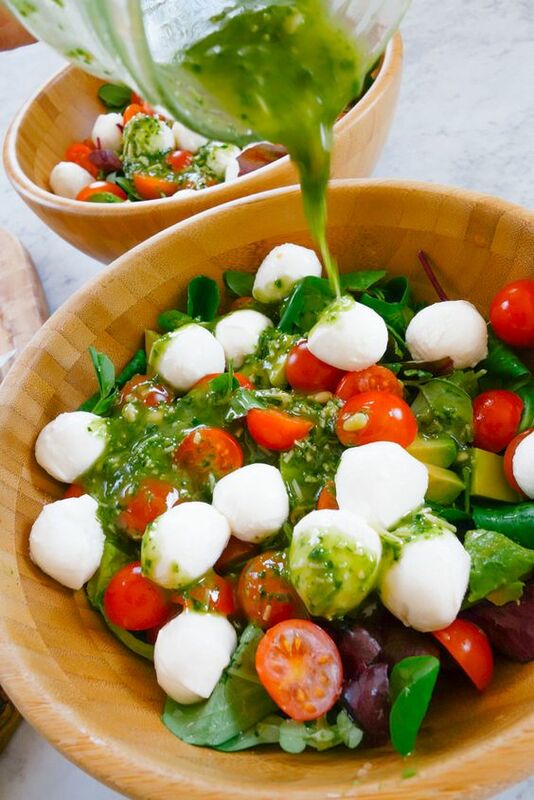 This salad by Just a Taste is absolutely awesome! A great combination by eat yourshelf skinny. A simple and easy Middle Eastern salad by NOMING THRU LIFE that comes together in just minutes. Southwestern Chopped Salad with Buttermilk Ranch Dressing by Julia’s Album it’s a salad, side dish, and dinner all in one. 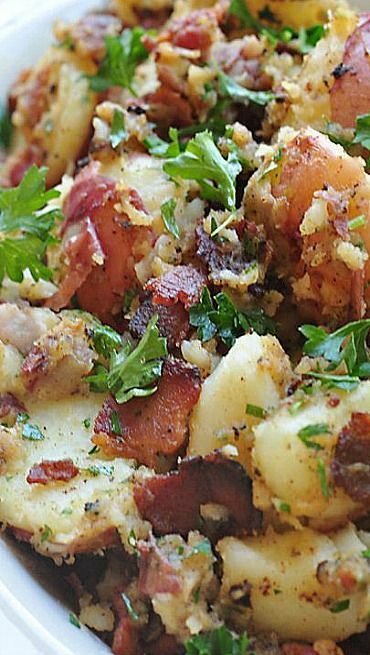 German Potato Salad by FIVE heart HOME is a perfect side dish for any occasion, from a grilled dinner to a summer holiday potluck. 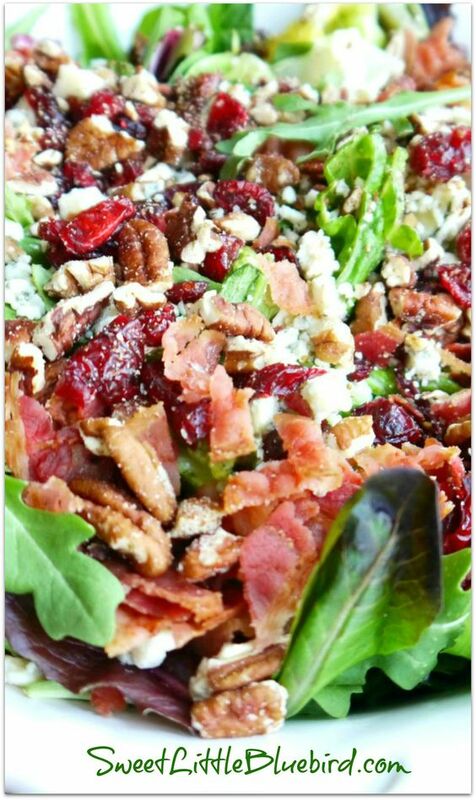 The Gorgonzola, Apple, Cherries, Pecans & Bacon Salad with Sweet Balsamic Dressing by Sweet Little Blue Bird is one of my favorite salads. Chipotle BBQ Chicken Salad with Tomatillo Avocado Ranch by carlsbad CARVINGS is WAY better than your favorite restaurant salad! Shrimp and Avocado Taco Salad by iowa girl eats is light and refreshing with a shrimp marinade that doubles as the salad dressing! She is mother of three, cook, receipe enthusiast. Things she love? Real people eating real food. So nice to have put all this great salads in one post! Thank you very much! Look very delicious! I like it! I really want make it now! The recipes in your post really useful with me! Thanks for sharing!